Home / foodie / malaymail / McDonald's / nasi lemak burger / news / McDonald’s Nasi Lemak Burger is coming to Malaysia! McDonald’s Nasi Lemak Burger is coming to Malaysia! After a year of it being first introduced in Singapore, the famous McDonald’s Nasi Lemak Burger will finally be available in Malaysia! 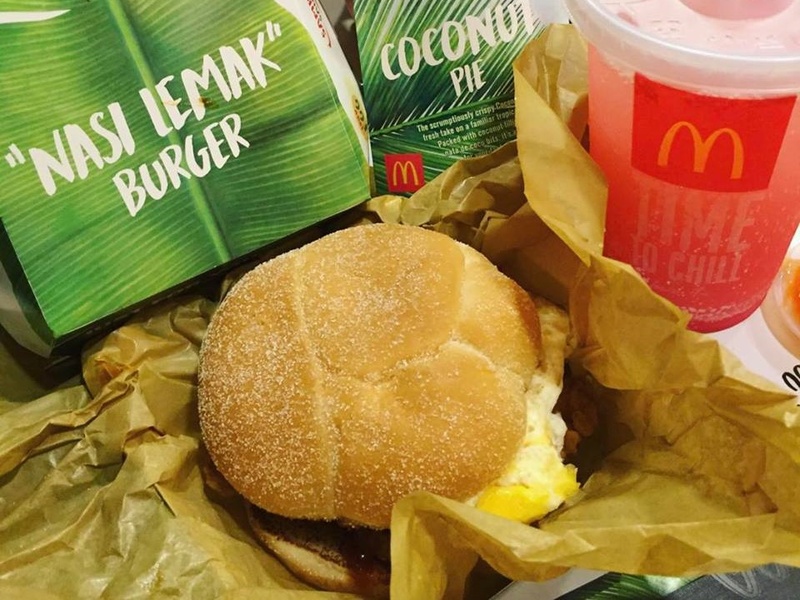 Starting from 26 April onwards, the Nasi Lemak Burger will be sold at all McDonald’s fast food stores as announced by a teaser clip posted on their official Facebook page. First released in conjunction with Singapore's National Day last year, the local delicacy based burger consists of thick coconut-flavoured fried chicken thigh patties, fried egg, caramelised onions and cucumber slices along with a sambal sauce spread between the semolina buns. Based on our very own iconic Malaysian favourite, the Nasi Lemak, this burger is definitely something worth looking forward to. So get your taste buds ready as McDonald’s Nasi Lemak Burger finally makes its debut in Malaysia! All in all, how does this check liquidating framework function?